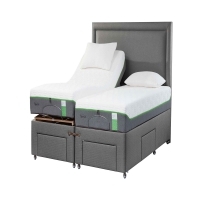 Double combination beds have electric adjustable functions on one or both sides of the bed. 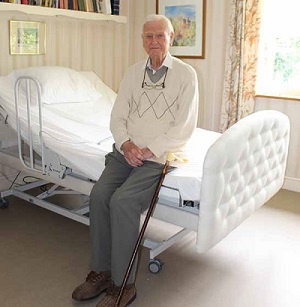 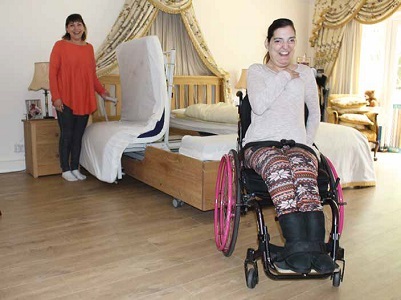 They are comprised of two single beds which can be either enclosed in a shared surround, or separable to allow carer access. 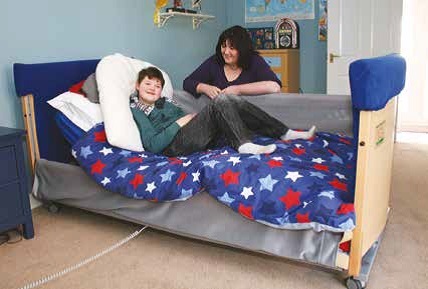 These beds can address the issue of couples who have different needs, but who wish to share a bed. 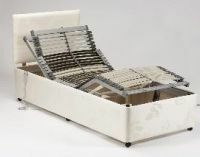 If required, ensure that the beds will separate easily. 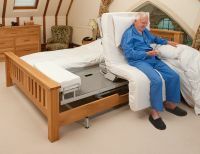 For example, to enable carers to assist from both sides and/ or to ensure sufficient clearance underneath for the legs of a portable hoist.